A new Russian potassium fertiliser giant is being created. It is set to give PotashCorp, the global leader, a run for its money. A new international industrial giant is being born in Russia. After merging, the corporation will become one of the top three leading world manufacturers of potassium fertilizers and might soon squeeze the global leader, Canadian PotashCorp. There are only 13 manufacturers of potassium fertilizers in the world, but one of those companies may soon fall out of the ranks. 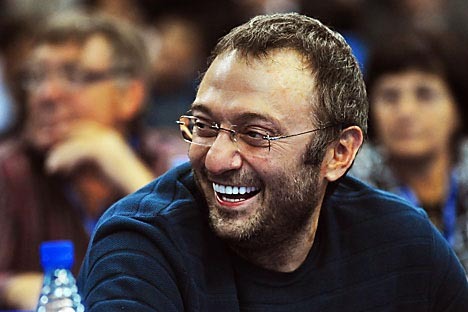 In summer 2010, the Russian oligarch Suleiman Kerimov became the majority shareholder of two major Russian manufacturers of fertilizers, i.e. Uralkali and Silvinit, and decided to merge them into an international potassium giant. PotashCorp is the world’s biggest potassium manufacturer with a capacity of 12.8 million tonnes, followed by the American Mosaic (11.2 million tonnes). “Now, the combined capacities of Uralkali and Silvinit are 10.6 million tonnes. In 2010, both companies worked close to full capacity (the combined output was approximately 10.3 million tons). The companies are going to ramp up their facilities: the merged company will be able to manufacture additional 13 million tonnes after modernising their production capacity,” said the Director General of Silvinit Vladislav Baumgertner to Russia-India Business Report. The Russian giant’s competitors, meanwhile, are far from being complacent: Potash is planning to expand its capacity to 17.1 million tonnes by 2015. Uralkali, however, has another ace up its sleeve. Belarusian Potash Company, the Russian giant’s trader in the global market, has its own manufacturing facilities. As a result, Uralkali will control 40% - 45% of the world trade in potassium fertilizers through BPC. “It means that taking into account another 40% under direct or indirect control of Canpotex, which is headed by PotashCorp, more than 80% of world trade turnover will go through these two traders. There are no similar examples of such an unprecedented market concentration in the iron ore or diamonds market”, said the analyst Mikhail Stiskin of Investment Company Troika Dialog. According to industry experts, the global consumption of potassium fertilizers was approximately 52 million tonnes in 2010. It is expected that 2011 will see further demand growth with the global export potassium chloride market to reach 55-60 million tonnes. Given that in 2008 demand peaked at 57-58 million tonnes, it can be forecasted that the market will be in full recovery this year, believes Baumgertner. “The pricing policies are determined by the supply and demand and depend on the market conditions, rather than the expected Uralkali and Silvinit merger. Currently, the market is on its way to recovery and, given the growing demand, the potassium prices are to be going up in the mid-term,” he said when asked how the merger could affect the prices. According to the UN Food and Agriculture Organization (FAO), the consumption of meat and dairy products, grains, oilseeds, fruits and vegetables has tripled over the past 50 years. People in developing countries, particularly BRIC, are spending more on food and their diets and are now seeing more variety. The world’s population is constantly growing, while arable land is shrinking. That's why land needs fertilizers to ensure higher crop yields. Potassium's main advantages include the capacity to retain water in the soil and improve nutritious value, taste and colour of food products. The demand for potassium fertilizers is set to grow. According to the FAO (the Food and Agriculture Organization of the United Nations), consumption of meat and dairy products, grains, oilseeds, fruits and vegetables tripled over the past 50 years. People in developing countries, particularly BRIC, are spending more on food and their diets are now seeing more variety. Noticeably, the world’s population is constantly growing, while arable land is shrinking. This is the reason why land needs fertilizers to ensure higher crop yields. Potassium is a principal mineral fertilizer used in agriculture. Its main advantages include the capacity to retain water in the soil and improve nutritious value, taste and colour of food products. Baumgertner said that due to the global economic crisis, farmers applied less potassium fertilizers than required in 2008-2009. Therefore, agricultural manufacturers need to act quickly to bring their lands to normal potassium levels and, thus, step up purchasing potassium chloride that makes the fertilizer market very appealing for further investments. Apparently, another manufacturer of mineral fertilizers, PhosAgro, is looking forward to strengthening its positions in the international market. In autumn 2010, the market heard that the company is considering acquiring PotashCorp. The striking difference in the companies’ values (the Potash Corp’s market capitalisation is over $40 billion, while PhosAgro is valued at $7-9 billion) was never an obstacle for the ambitious Russian manufacturer. PhosAgro held consultations with the Russian government, banks and even asked Prime Minister Vladimir Putin for support. Several months ago PhosAgro also contemplated merging with Silvinit. It is too early, however, to say if the smaller PhosAgro would be able to take over the giant, since it usually takes at least several months to arrange such deals. In spite of its size, the merged Russian giant Uralkali will keep focusing on the most attractive markets, in particular BRIC and South-East Asia – the most dynamic developing regions where analysts predict the fastest growth in demand for fertilizers. Other target markets with a high level of agricultural development and technology include Europe and the United States, said Baumgertner. Belarusian Potash Company is the world’s leading supplier to Brazil and India. These countries demonstrate the highest potassium consumption growth: it doubled there over the last 5-7 years. As for Argentina, the potassium producers have a different sort of interest: the resources attract them rather than potassium consumption levels (Argentina’s share in the total sales is not that big). At present, they are at the exploration and preparation-for-production stage, the launch of which is scheduled for 2014-2015. The most important for Uralkali, however, is to finalise the merger with Silvinit rather than further international expansion. As a result, Silvinit is to cease to exist, while shareholders are to receive Uralkali shares in exchange for their interest in Silvinit. Uralkali will continue: its ordinary shares will be listed in the Russian stock exchanges and foreign investors will be able to buy and sell depository receipts at the London Stock Exchange. The Russian potassium giant will be founded in the second quarter 2011; by this time, the merger is due to be completed. The boards have already approved the terms of the deal, and now it is up to the companies’ shareholders to decide.